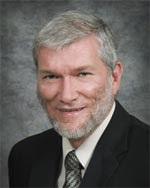 Ken Ham (pictured), CEO of Answers in Genesis, will be speaking at the Answers in Genesis Family Conference in Winona Lake, Indiana, Wednesday and Thursday, September 26-27. Ham is a popular speaker in the U.S. on biblical and creation topics, as well as an author and radio host. The public is invited to attend all six of Ham’s presentations. For more information about Answers in Genesis, go to http://www.answersingenesis.org/. For information on Grace College & Seminary click on http://www.grace.edu/. GREAT , you're having Answers in Genesis and that is so good. We have representatives that come share with us from time to time .Our new pastor , Frank Figueroa, was trained by Answers in Genesis to present programs from their ministry.